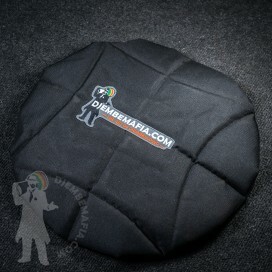 Top quality handcrafted professional djembe bag. 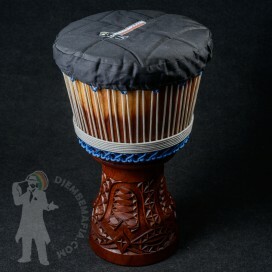 Stuffed top, bottom and sides for maximum protection of your djembe drum. Very soft inside. Zip protection. Big side pocket. Top and side grab handle. Solid durable material Smooth adjustable straps make it easy and comfortable to wear and use. Fits perfectely to your back! Best choice for your djembe! Professional djembe hat with protective smooth filling. Gum in circuit. Universal size! Grant your drum maximum protection!